Hulu on Tuesday said it has reached licensing agreements that’ll allow the company to stream live and on-demand content from 21st Century Fox and The Walt Disney Company through its upcoming streaming TV service. Hulu CEO Mike Hopkins said they’re building a service that offers subscribers the most sought-after programming on television, noting that channels from 21st Century Fox and The Walt Disney Company are essential to the mix. Between the two, Hulu will gain access to more than 35 networks including FOX, ABC, Fox Sports 1, Fox Sports 2, BTN, ESPN, ESPN2, ESPNU, ESPN-SEC, ESPN 3, Fox Regional Sports Networks across dozens of key national markets, Disney Channel, Disney XD, Disney Junior, Fox News, Fox Business, Freeform, FX, FXX, FXM, National Geographic and Nat Geo Wild. Licensing deals with 21st Century Fox and The Walt Disney Company were more or less a sure thing considering each owns a 30 percent stake in Hulu (Comcast owns another 30 percent with Time Warner owning the remaining 10 percent stake). Speaking of, Hulu inked a similar licensing deal with Time Warner back in August that’ll make available its live and on-demand programming from networks like TNT, TBS, CNN, Cartoon Network, Adult Swim, truTV, Boomerang and Turner Classic Movies. Hulu will join a market that’s already populated by players including Sling TV, PlayStation Vue and soon, DirecTV Now. Given that most will share the same content, providers will have to differentiate themselves based on other factors such as features and pricing. 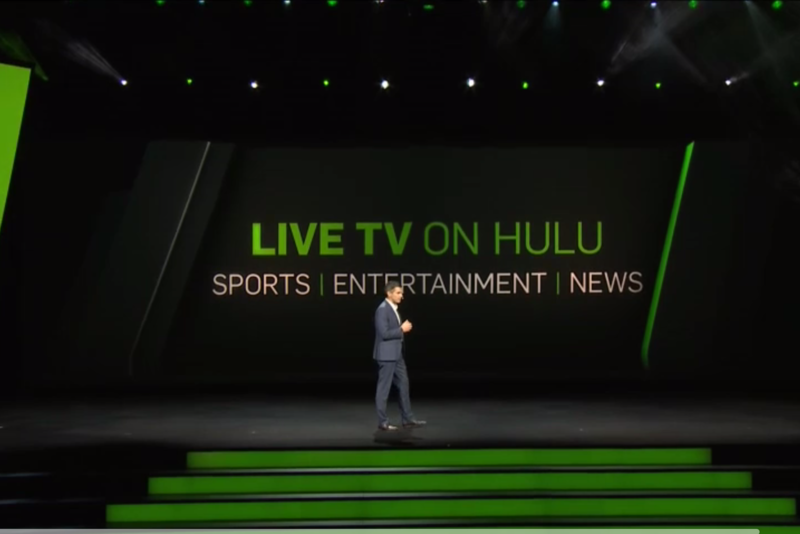 Hulu’s streaming TV service is set to arrive in early 2017.